Are you searching for a Troy, Michigan upholstery cleaning company with many techniques at their disposal to clean your furniture? The technicians at Capital Carpet have many techniques at their disposal to properly clean your upholstery, depending on the type of fabric and how soiled the furniture is. We have many methods available including, pre-vacuuming, spot and stain removal, bonnet cleaning, dry cleaning, and steam cleaning and will use the most effective method for your furniture. Looking for a reliable company with commercial and residential upholstery cleaning services in Troy, MI? 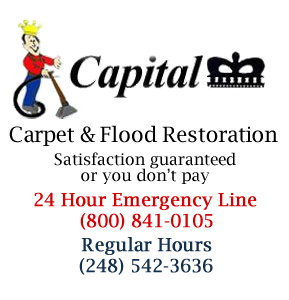 Capital Carpet provides both commercial and residential upholstery cleaning services in Troy, MI. If it’s your home or your business, we are here to help you remove tough stains and give your upholstered furniture a fresh new look. 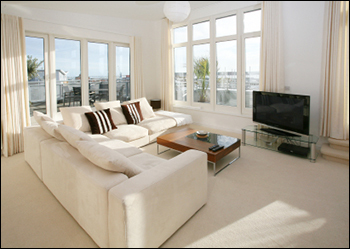 Capital Carpet is a full service upholstery cleaning company able to service both residential and commercial customers. If it involves spills, stains or odors in furniture, Capital Carpet has vast experience with the removal of stains and odors from more demanding materials like satin, silk, cotton and Haitian cotton. Over the years we have developed many techniques to remove difficult stains that many of our competitors struggle with. Our technicians will make you feel comfortable about inviting them into your home or business. We have powerful truck-mounted cleaning units for any size job. Call Capital Carpet at 248-542-3636 for pre-vacuuming, spot and stain removal, bonnet cleaning, dry cleaning, and steam cleaning. We also clean vinyl, leather and period fabric pieces. 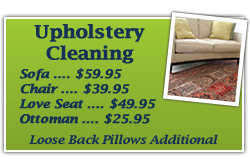 We are the upholstery cleaning specialists in Troy Michigan. Testimonial: "Matt was friendly and thorough, My first time with Capital Carpet and will call again"
Testimonial: "My carpet looks great, Thanks"